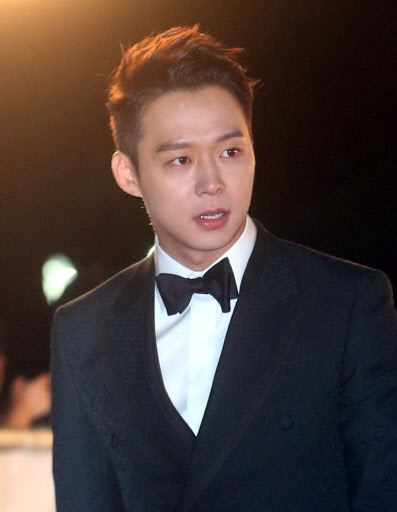 Following four sexual assault claims last week against Park Yoo-chun of boy band JYJ, a group of his fans announced that they will stop supporting the once-beloved celebrity. “We will strictly boycott all content or activities related to him,” the statement added. 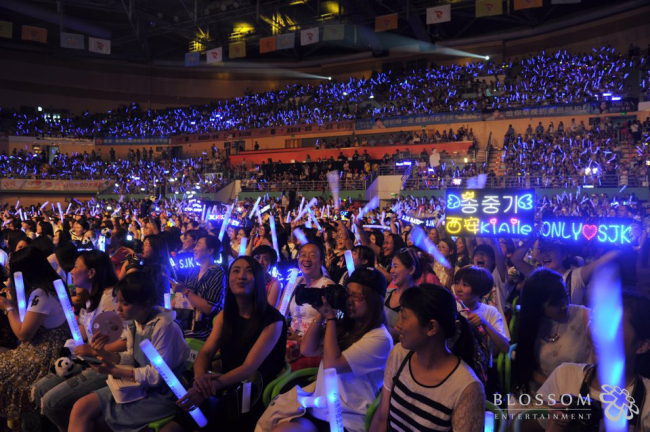 The fans said they would only continue to support the other two members of JYJ, Kim Jun-su and Kim Jae-joong. For numerous K-pop fans, this is a move that indicates the gravity of the issue, since most of them tend to turn a blind eye to even the wildest antics of their favorite stars. Though police investigation into Park’s case is still in its early stages and the singer has not yet been found guilty of any of the charges, fans are infuriated. The revelation that Park frequented bars that reportedly provide adult entertainment services and the fact that he is involved in this scandal, which is suspected to include criminal elements and 1 billion won in blackmail, have been enough to make them turn their backs. The depth of disappointment is directly proportional to the commitment fans have shown toward JYJ throughout the years, said one 27-year-old JYJ fan surnamed Hong. JYJ has had a rocky history. Its members began their singing careers as members of the boy band TVXQ in 2003. However, in 2010, Park, Kim Jun-su and Kim Jae-joong broke away from the group to form JYJ, in protest against unfair contracts drawn up by TVXQ’s agency SM Entertainment. They filed lawsuits against the agency and the legal battle raged on until 2014, during which their television appearances were largely limited. Last month, a group of fans of boy band Super Junior’s Kangin also posted a statement online, urging that the group’s agency remove Kangin from the group after the singer was involved in a hit-and-run accident while driving drunk. These moves by fans suggest that K-pop fandom has evolved and is motivated just as much by principles as it is by admiration. According to Hong, however, there are still fans who feel that Park was “unlucky” to have gotten caught in his alleged crime. “Some fans say, ‘Why wasn’t he more careful?’ They say they understand what it’s like to be unable to break up with a boyfriend who had an affair with someone else. The years of affection don’t just fall away,” she said. One reason behind fans’ vehement responses to K-pop singers’ scandals is because of the devotion -- both emotional and financial -- that they have vested into the celebrities. A 25-year-old fan surnamed Lee, who is an active fan club member of a K-pop boy band whose name she declined to reveal, last year spent a total of 2,570,000 won ($2,211) on fan activities. This ranged from spending on group and individual members’ concerts, CDs and celebrity merchandise. However, this is a figure that is relatively low compared to high-spenders who attend concerts abroad and fork out money to buy gifts – including hoodies, bags, food, electronics and even household appliances -- for stars and even their managers, said Lee. “Managers are crucial because they can offer information on a star’s whereabouts,” said Lee. Fan activities have become prevalent throughout the country. 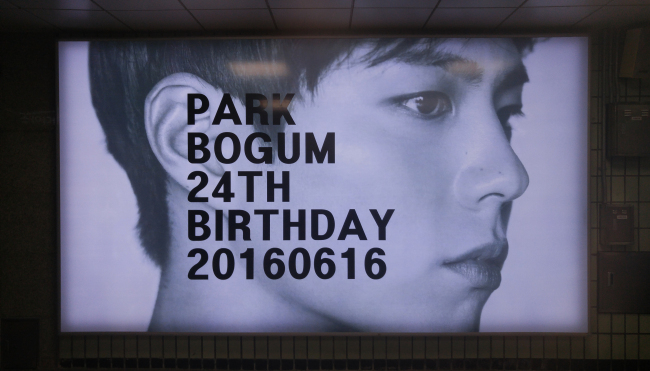 It is not uncommon to spot ads in subway stations -- which can cost up to 5 million won ($4,310), including printing costs -- put up by fans in celebration of a celebrity’s birthday. Fans also donate to charities in the names of their favorite stars. Fans are also loyal consumers of products and content rolled out by entertainment agencies. They purchase the clothing that singers are spotted wearing, continuously play K-pop songs on streaming sites, cast votes for singers in music programs and watch music videos online. The number of views and revenue that result from these activities, in turn, “define how much a company is willing to pay (celebrities) for ad endorsements and deals,” according to an official at an entertainment agency who requested anonymity. “The fans then purchase the products the K-pop groups advertise,” said the official. This generates profits for both the company selling the products and the entertainment agencies. “Fans are the fuel to an ever-churning profit machine,” said one fan who until last year occupied a high-ranking position in a boy band’s fan club. Another steady source of profit for K-pop stars are fan autograph sessions, according to a university student surnamed Hur in her early 20s, who is an active member of a K-pop boy group fan club. To have a fighting chance in the intense competition to attend an autograph session, a fan has to submit a copy of the artist’s album. As a random handful of them are selected from among those who wish to attend, fans sometimes submit up to 50 copies in order to increase their chances of getting picked, she said. Fan camps are another pricey activity that fans are all too willing to pay for. Recently, an announcement for the fan camp of Jun Jin of boy group Shinhwa was posted on the singer’s Facebook timeline. According to the post, the event will take place from July 1-3 at a resort in Gangwon Province. A fan camp usually involves games, mini concerts, and an array of other programs. Attendance fees range from 500,000 won ($430) to 1 million won, according to fans. This is the 16th article in a series that explores the driving forces behind hallyu and the global rise of Korean pop culture. -- Ed.